We have created some BINGO sheets for you to print out! The cards have both the picture of the item and the name of it, to help identify what the picture is. We’ve included the call cards as well (Little cards that can be put into a bowl to call from). You will need something to use as markers. 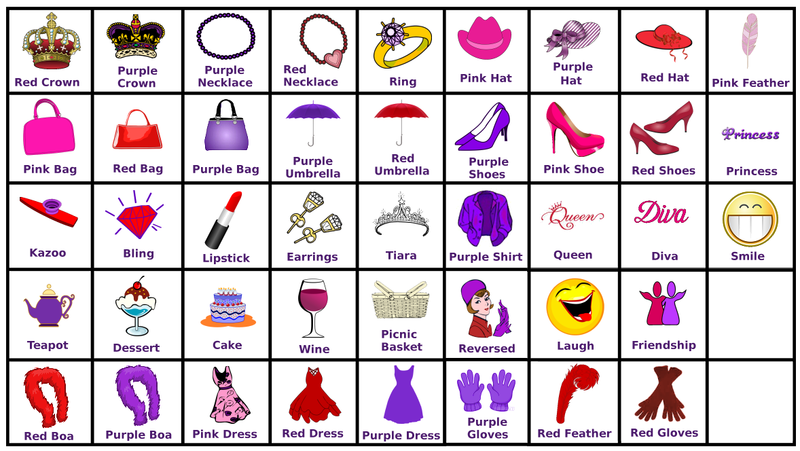 If you’d like to be able to reuse these bingo cards, we would suggest using something like the plastic bingo tokens you can buy on ebay. Or large sequins, glass decorator pebbles, buttons, coins, chocolates or any other such item. 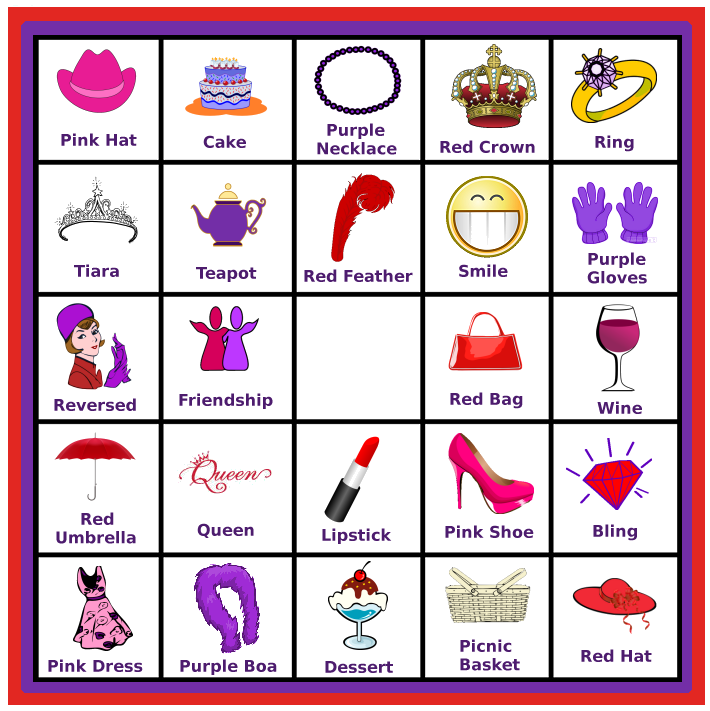 You can download the pdf file that has all the bingo sheets sized to print 2 to an A4 page, with calling cards and instructions. To use this bingo set. Download the file above and print out 1 copy of each page. This will give you a unique sheet for up to 30 players. Cut out the call cards into separate pieces – these have one of each of the symbols on them, you can place them in a bowl/container to draw from. To play bingo, the caller selects a card (without looking) and calls out the symbol/picture on it. Any player with that on their bingo sheet can mark that off. A player can call “bingo” when they have a line (diagonal, vertical or horizontal) marked off that includes the blank centre square. If you wish, you can eliminate that blank square rule and have bingo be any line.